As we all know, arthritis is one of the main causes of disability and pain in the world, so we need to do whatever it takes in order to reduce and eliminate the pain in the best way possible. Thankfully, there are multiple methods that can be used in this regard and here you can find the best options for you. A great way for any patient that suffers from arthritis is to engage in performing simple exercises that will help alleviate the pains, with that person feeling less stiffness in the morning. Excessive sitting in the case of those persons that work at the office can also lead to arthritis and this is why changing your position as often as possible or moving your neck/hands will help you a lot when it comes to overcoming the bad effects of arthritis. At the same time, it’s imperative to take breaks as often as possible in order to alleviate stress on your joints and move them. Moving every 20-30 minutes at least for a little bit will do wonders in this regard. If you want to ease arthritis pain, making some lifestyle changes will help you a lot. Obesity can also be one of the causes that lead to arthritis pain, so losing weight needs to be a priority in this regard, and that’s why consulting a nutritionist will bring you the best possible results in such a situation. Eating vegetables, fresh fruits, lean protein, fish, poultry and whole grains will help, but at the same time you have to avoid sugary beverages, processed foods and red meat if you want to lose weight and overcome arthritis pain. You will also need to quit smoking as well, because this habit will cause a lot of pressure on the connective tissues. As a result, this will lead to a lot of arthritis discomfort, something that can be avoided if you just stop smoking. 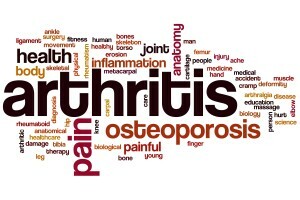 One of the best ways to treat or at least alleviate arthritis is to seek professional treatment. Working with a rheumatologist will allow you fully determine what causes your particular form of arthritis and thus he will be able to create a unique treatment based on your symptoms. A doctor will also be able to tell you which medicines are suitable for controlling inflammation and pain in your particular situation, not to mention that he can predict if their side effects will affect you or not. You can take this a step further by engaging in aerobics, but you can also consider dance programs, a gym or just about anything that will encourage movement. With these exercises you will be able to focus on joint strength, balance and flexibility. Even a stationary bike will help you stay in shape, however it’s crucial to seek the doctor’s advice before you engage in such exercises, mainly because he will be able to choose which works best for you.